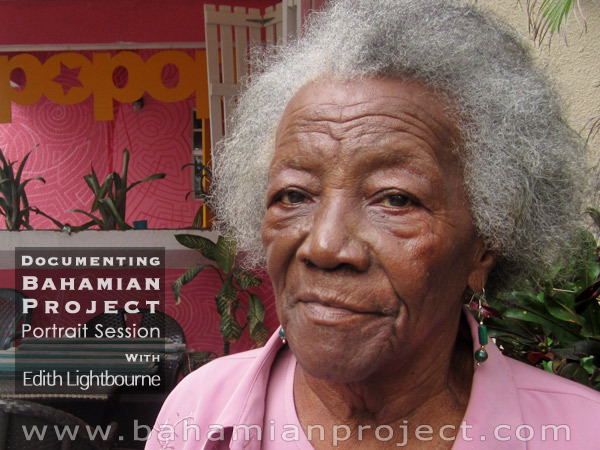 This picture of Edith Lightbourne was taken right after her portrait session for the Bahamian Project. The final portrait images will be unveiled at the Exhibition Opening at the National Art Gallery of The Bahamas on July 11, 2013. Edith Estella Jane Lightbourne was born on May 13, 1918 in Riding Rock Abaco, but grew up in Cedar Harbour, Abaco. Somewhere around the 1940s she moved to Nassau. It was about this time that she became the second licensed female taxi driver in the Bahamas. Having lived for nearly a century she has seen a great number of changes – the Bahamian landscape is vastly different, so many historical events have occurred, she was there to see so much of our nation’s progress in the making… and our stumbles too. We were curious what she thought was the greatest change over the decades. Without hesitation, she answered, “people speaking their minds” – People speaking out with no fear of reprisal. We had our dogs with us in the studio that day and before we entered I asked Edith if she was afraid of dogs… her granddaughter, who had accompanied her, assured us Edith was afraid of nothing. 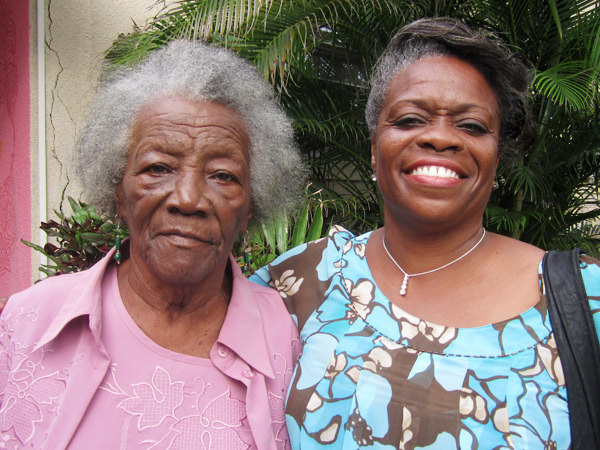 According to people who have known her, Edith Lightbourne has always been a strong, outspoken, articulate woman – and “positively proudly Bahamian”. She told us she is going for 100 years. She said it as if she didn’t doubt it for a second and she invited us to her 100th birthday party. We look forward to it, and to even more birthdays after that.